The Science Book and Film review publication of the America Association for the Advancement of Science (AAAS) and Subaru, are pleased to announce Jim Arnosky of South Ryegate, Vt. as a recipient of the Key Lifetime Achievement Award for Excellence in Science Books. The award ceremony was held Feb. 19 at the Marriott Wardman Park Hotel in Washington, D.C. at the AAAS annual meeting. Arnosky was awarded the Key Award in the category of Children's Science Books -- Illustrator, because of his distinguished contribution to the world of science books. 2005 marks the 40th anniversary of SBF. In honor of this, SBF has reviewed decades of science books and contributions and established the first annual Subaru/SB&F Key Award. Five lifetime achievement awards were awarded to four authors and one illustrator, Arnosky, recognizing each for their body of work. The Key Award is named after Benjamin Franklin and his famous key and kite experiment. Arnosky has written and illustrated over 90 nature books for children. Among them include his classic book, "Drawing From Nature." 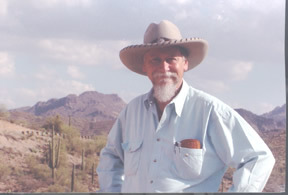 His latest books include "Coyote Raid in Cactus Canyon" (Putnam); "Under The Wild Western Sky" (Harper Collins); and "Hook, Line and Seeker" (Scholastic).